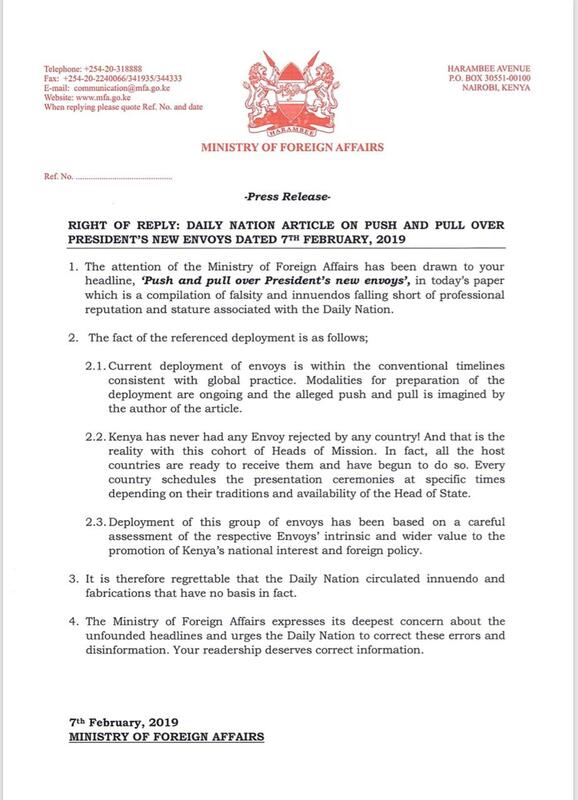 The Ministry of Foreign Affairs has rebuked the Daily Nation over a story that made their headline on Thursday 7, 2019. The story highlighted that despite the President’s envoys being endorsed by MPs, for postings abroad last year, most of them are yet to report to their work station hence questions being raised on whether they have been rejected or have just delayed. The Ministry has rubbished the claims that the envoys have been rejected affirming that Kenya has never had any of its envoy rejected by any country. “The current deployment of envoys is within the conventional timelines consistent with global practice. Modalities for preparation of the deployment are ongoing and the alleged push and pull is imagined by the author of the article. “Deployment of this group of envoys has been based on a careful assessment of the respective Envoys’ intrinsic and wider value to the promotion of Kenya’s national interest and foreign policy,” the statement read. 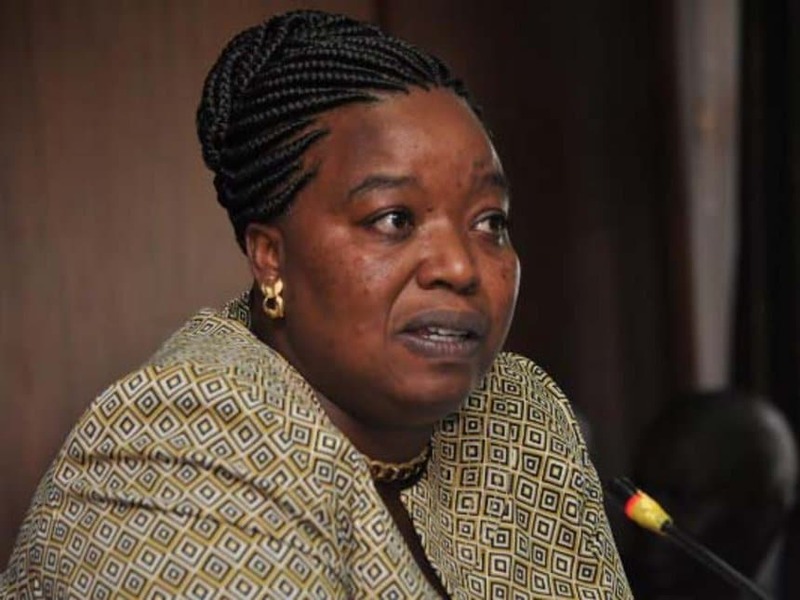 The Monica Juma led ministry has asked the newspaper to correct the errors made in that story stating that the public deserves correct information.